BOOMER IS IN HIS NEW FOREVER HOME. BOOMER IS A MULTI CHAMPION! 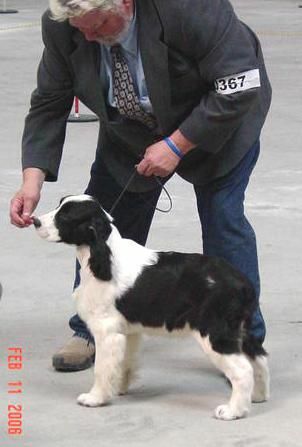 He finished his UKC Championship on March 17, 2007 with 3 group placements for the weekend's 4 shows! Boomer moving in the ring Torrance show August 2007. 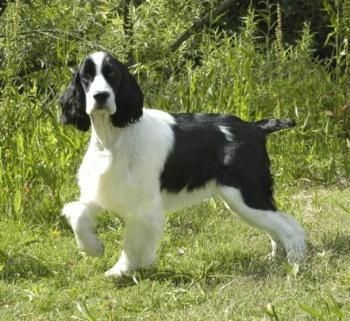 BIG BRAG-- Boomer won his first AKC point May 20th in Vallejo-- winning BEST OF WINNERS out of the 6-9 month puppy class over the older Springers! 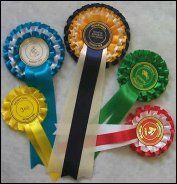 WOW what a bunch of ribbons! 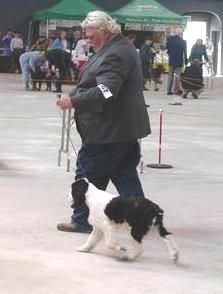 Boomer did great at his first 2 UKC shows Oct 15, 2006. 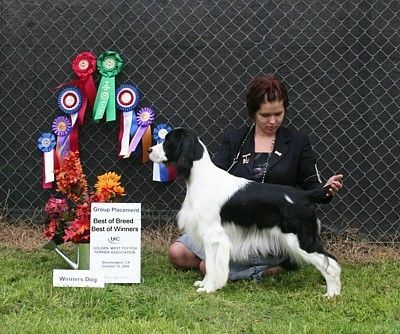 He won Best Male (Winners Dog at an AKC show) in both Shows 1 & 2. Best of Breed in both shows 1 & 2. ALSO Best Of Winners in both shows 1 & 2. A group 2nd in Show 1 and a Group 3rd in Show 2. 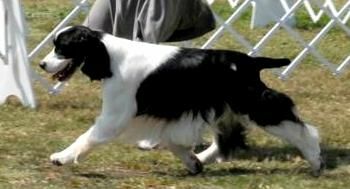 Boomer was the star of the day for the Promise Gang, and has 70 points and 2 Majors, only needing 30 more points and 1 more major for his UKC Champion status. 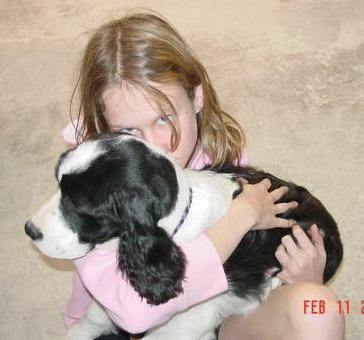 Here are my kids at the Springer Spaniel National.... Boomer, Heather and Harley... October 2006. 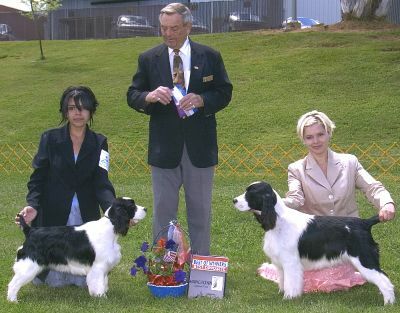 Placerville, CA 2006, Harley (on left) and brother Boomer win Best Opposite and Best Of Winners... 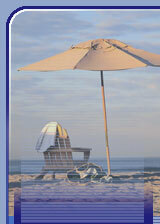 THANKS COOK PHOTOGRAPHY for your patience in taking this GREAT PICTURE! 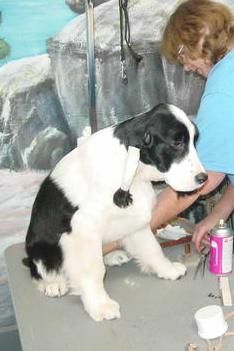 Getting ready..... Boomer is resigned to all the brushing and grooming.... he's such a good boy! 1 year old! 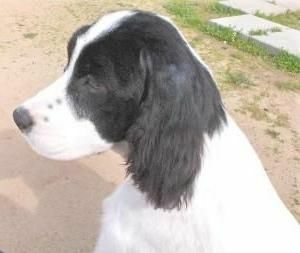 Boomer, taken at 7 1/2 months old at Huntington Beach Central Park, the site of the English Springer Spaniel SoCal specialties in April 2006. Photo taken by Toni Bauerlein-Sehnert. 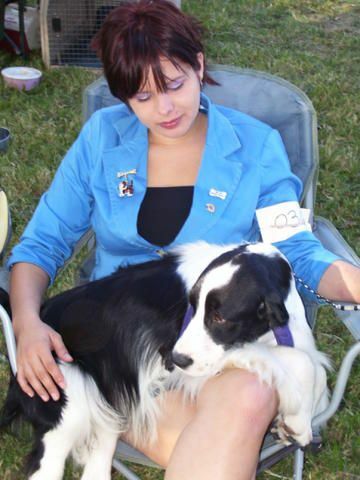 Okay, here I am at my first show.... But is all this REALLY necessary???? 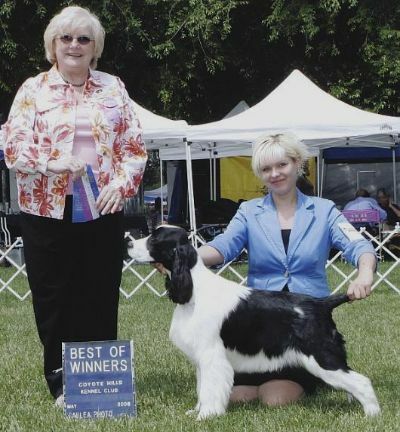 Our Baby Boy Boomer.... His first show picture, after receiving his International and National titles in Santa Rosa in February 2006. 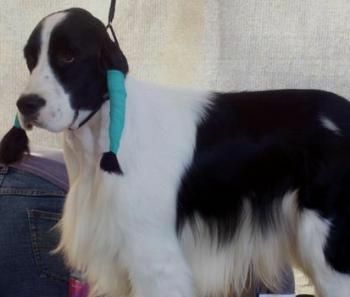 Stacked and showing off for the judge.... A handsome pup! Hey Mom! Can I keep him?! Boomer with Best Friend Christie V.